The New Ulm Suzuki School of Music is proud to announce the 2018 Pops Camp with guest clinician Carl Rieke. We will once again be offering afternoon activities for our students participating in the half day camp. Please let us know if your child is planning on staying for these activities. Students will need to bring sack lunches. Please fill out and bring an Emergency Medical Form the first day. String Youth Orchestra: Students in this orchestra should understand the meaning of simple time signatures, be able to read and perform patterns in all simple time signatures, and perform melodic fragments containing seconds and thirds. This orchestra will include all string participants regardless of ability level. This is an opportunity for the more advanced players to act as mentors to the younger or less advanced students. The music in this group will be later elementary and/or early Jr. High level. There will be sectionals daily so all participants will feel comfortable with the music by the end of the week. Youth Symphony Orchestra: Students in this orchestra should understand the meaning of compound time signatures, have the ability to read and perform rhythmic patterns in all time signatures, be able to perform intervals by size and quality, and be able to understand all commonly used key signatures and related melodic patterns. This orchestra will be for the more advanced student and the music will be more challenging. Students should have their teacher or orchestra director make a recommendation regarding section; i.e., 1st, 2nd,or 3rd Violin, experienced or inexperienced, etc. Register by May 1, 2019 by registering and paying at Eventbrite (you will be charged a convenience fee by Eventbrite) or by printing off the 2019 Pops Camp Brochure (PDF) and sending the registration section along with payment to NUSSM. 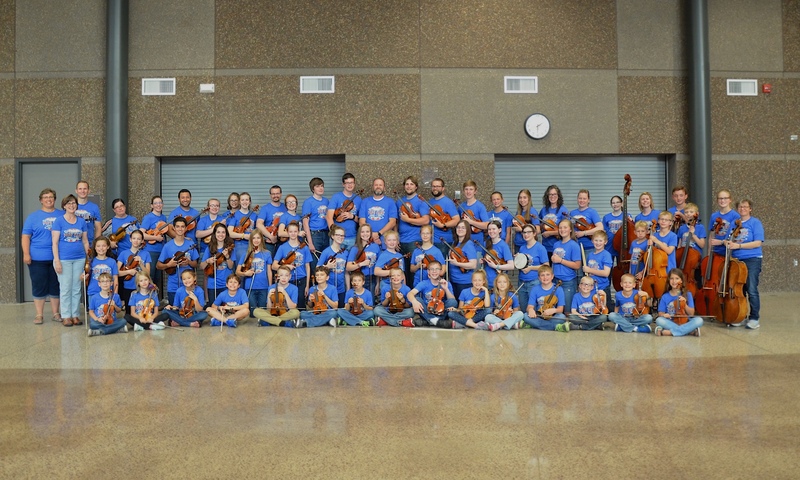 New Ulm Suzuki School students must register by May 1 to receive scholarship dollars. Please contact your teacher for more information. This activity is made possible by a grant provided by the Prairie Lakes Regional Arts Council and is funded, in part, by the Minnesota’s Arts and Cultural Heritage Fund as appropriated by the Minnesota State Legislature with money from the vote of the people of Minnesota on November 4, 2008.